Housewarming Ceremony Muhurat in 2014 dates will help you find out the best time to step in your brand new home at the most auspicious time. Griha Pravesh is an ancient Hindu ritual, which is performed at the right Muhurat. Perform the House Warming Ceremony using our Graha Pravesh Muhurat 2014. Our home is our heaven and the most comfortable place for us. We understand the importance of home for everyone and therefore, we have come up with Housewarming Ceremony Muhurat 2014 or Griha Pravesh 2014 Muhurat dates table. Graha Pravesh is a very well known ritual and probably ancient one too. 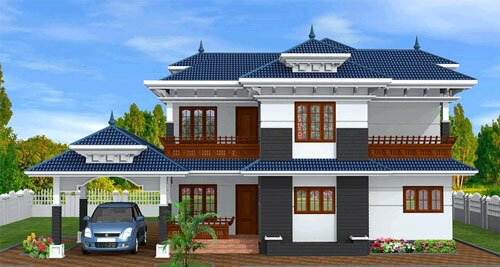 If you are planning to enter your dream home in 2014 then Housewarming Ceremony 2014 details are the best help for you. We know that for House Warming Ceremony, auspicious dates and time are very important. Keeping this thing in mind, our experts have prepared Griha Pravesh Muhurat for 2014. It is believed that Housewarming Puja pleases all the Gods and planets and wards off all the negativity. The religious rituals performed during Griha Pravesh are done for the safety and betterment of the individuals who live in the house. Other than the safety and success of the family members, House Warming Ceremony is also important to fetch in all the positive energies of the surroundings. There is no better place than a home and no other place can comfort us as much our home do. All these factors describe the importance of Griha Pravesh. Starting a life in a home after Housewarming Ceremony has its own benefits. We make our home for ourselves and for our loved ones, then why to neglect this auspicious ritual? During the House Warming Ceremony, Muhurat is decided according to the Panchang (Hindu calendar). With House Warming Ceremony Muhurat 2014, you can get the best days along with time to perform Griha Pravesh. Apoorva: Entry in a newly constructed house. Sapoorva: Entry into an existing house after migrating elsewhere. Dwandwa: Entry into a renovate or reconstructed house. It is also known as 'Old' Griha Pravesh. For Griha Pravesh, positioning of Sun has a very major role. The most auspicious time for House Warming Ceremony is when the Sun moves Uttarayan i.e. to Capricorn. Vastu Puja: It is performed outside the premises of the house, before entering inside. Vastu Puja is done to appease Lord Vastu. To conduct this puja, Navadhanya (nine kinds of grain) and a one rupee coin is required. Vastu Shanti: Vastu Shanti is also known as Griha shanti and involves a Homa (Havan). In a peaceful environment the rituals are done to drive away all the evil spirits and negative vibes. During Vastu Shanti, Pavamana Mantra and Rakshoghna Mantra are chanted. Before planning House Warming Ceremony 2014, you must know that months of Kartik and Margshirsh are believed to give average results for Grah Pravesh. Whereas; Ashadh, Bhadrapad, Shravan and Ashwin Paush are considered inauspicious for Griha pravesh. Therefore, before conducting Grah Pravesh, keep these important points in your mind. Not to forget, Grih Pravesh should also be avoided on Amavasya. Griha Pravesh Muhurat has immense importance because it transforms a house into a home by quelling the spirits and purifying the environment by echo of the mantras and the smoke emerging from the hawan. House Warming Ceremony makes the house habitable. We are sure that the details we have provided in Housewarming Ceremony Muhurat 2014, will help you to plan your Griha Pravesh under the effects of most favorable stars. So, utilize the best of our Housewarming Ceremony Muhurat 2014 dates and choose the holiest time to enter your abode. Make this lifetime experience of stepping-in-your-dream-house for the first time an auspicious one with our Griha Pravesh Muhurat 2014. Remember, your first step in your home as per Graha Pravesh Muhurat 2014 may make your home a profit yielding machine. Griha Pravesh is an extension of "Vastu Shastra", a science that explains the best way to build a house.